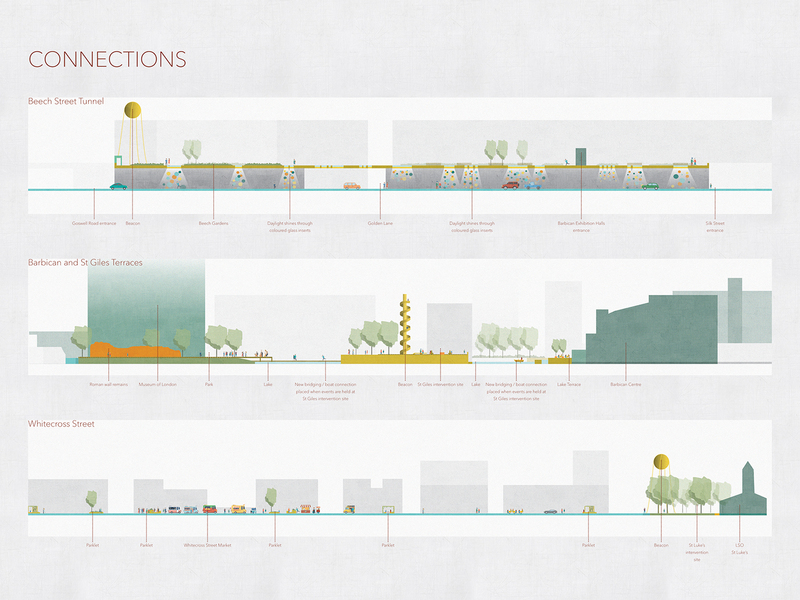 City of London Culture Mile 2017 Competition Winner! The Culture Mile is a brand new district in the city of London, home to internationally recognised cultural institutions such as the Barbican, Guildhall School, London Symphony Orchestra and Museum of London. It will take 10 to 15 years to develop and will create a major destination for culture and creativity within a square mile stretching from Moorgate to Farringdon. 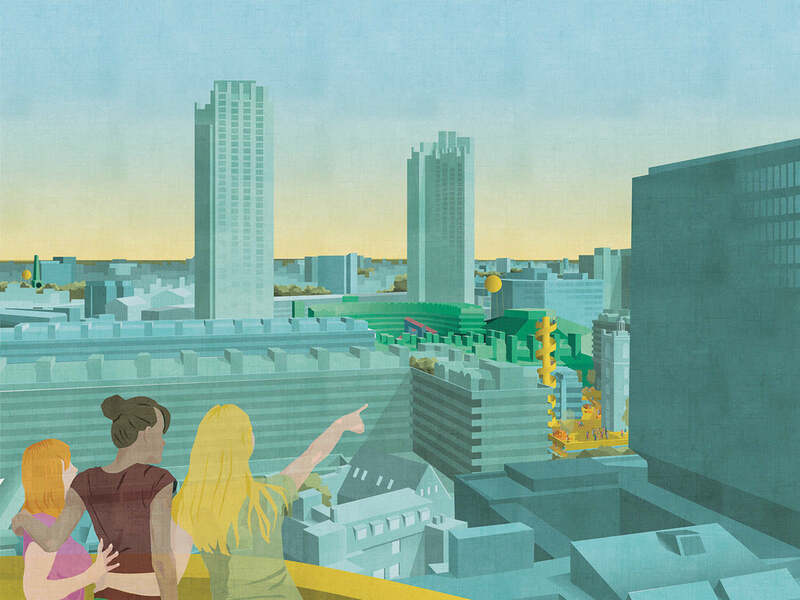 The City of London Corporation ran a competition to speculate about a new public realm strategy centered around the theme: ‘Taking the Inside Out’. 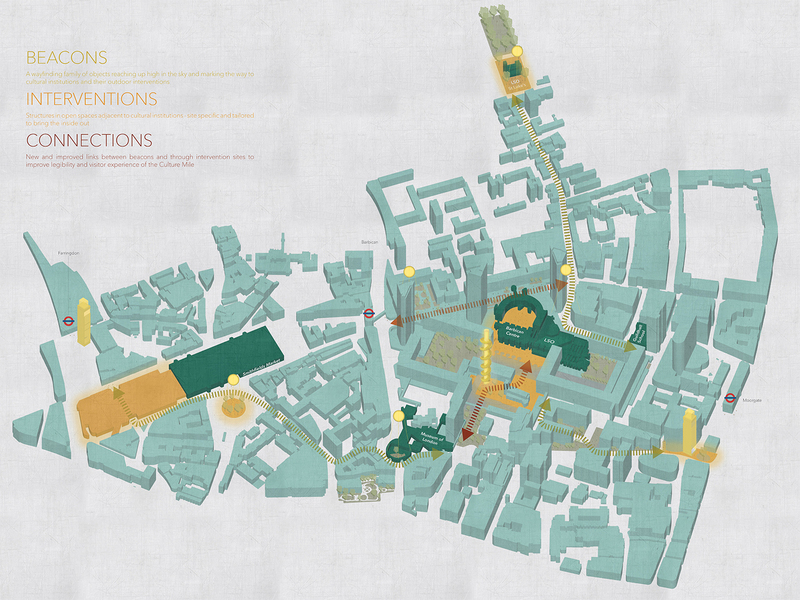 Our winning idea was born out of a need for better wayfinding and making the most of rare city-centre outdoor spaces. 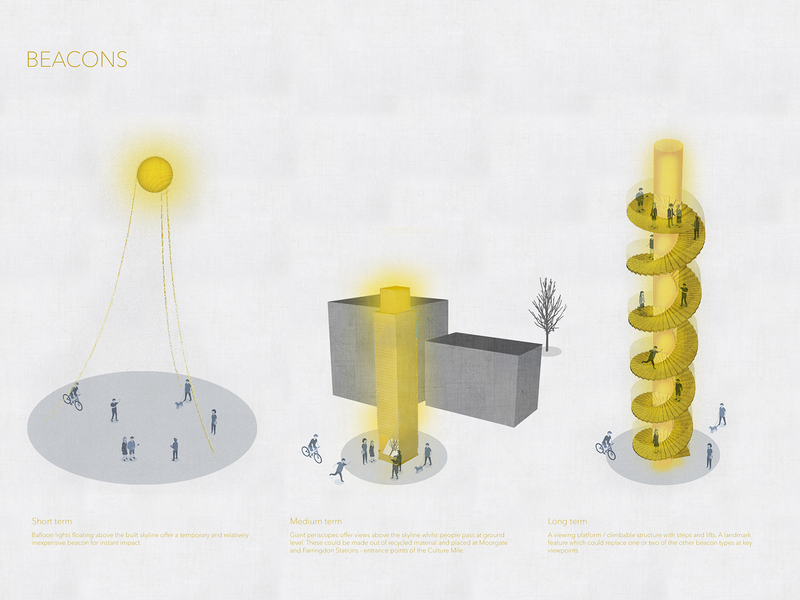 We came up with a strategy of 3 core elements: Beacons, Interventions and Connections. Our beacons guide the way through the Culture Mile, each placed at key viewpoints and cultural institutions. 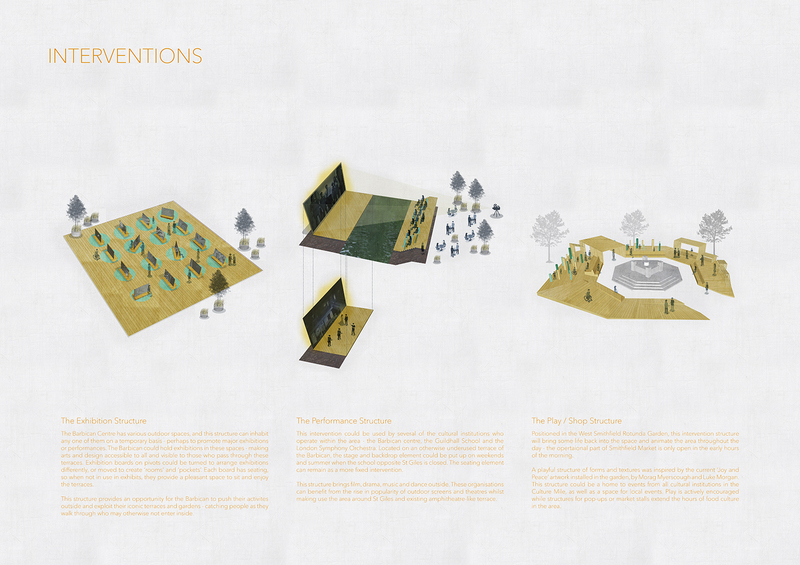 At each of these points, outdoor interventions bring the inside of these cultural centers out into the public realm. A series of structures will sit within each identified space and bring the activities of the inside into the outside – increasing the presence of the establishments within the public realm. Connections take people through intervention sites and allow easier access to cultural establishments – activities and events will become more visible to passers-by. As a result, we have received a commission from the City of London Corporation to work on the early stages of the Culture Mile. Watch this space!